Science fiction fans and cinema lovers across the world were all holding their breath in anticipation in 2017 at the release of Blade Runner 2049. In this sequence of Ridley Scott’s master piece, we are introduced to K, a replicant who hunts down other replicants and kills them. In the near future, we come to realize, a class of synthetic slaves will be formed, and those who would dare to revel against their creators will be exterminated. K runs his own life and routine. His girlfriend, a hologram by the name of Joy, waits for him after work in his place, and he gives her a present – a device that allows her to exist outside of his apartment, apart from the monitor. K, the synthetic man, the slave – the Golem – gives his lover yet another level of actual existence and personal freedom. Does he want freedom for himself too? Will he remain loyal to his human masters? Along the movie we identify more and more with K and his fellow slaves who wish to break free from their human sovereigns, much like we wish to break free from Jared Leto. In an era when social conflicts deteriorate due to growing financial gaps, and an eccentric billionaire is elected the president of the Unites States while protesters demand gender and ethnic equality, “Blade Runner 2049” is the perfect science fiction metaphor. However this is not the first time in which a work featuring a man-like, powerful creature that turns against its creator, represents social issues. A model of the Altneuschul in Prague – the most ancient synagogue in Europe still in use – is displayed in the Synagogue Hall at the Museum of the Jewish People in Beit Hatfutsot. The gothic building is where one of the most renowned Jewish legends – the Golem of Prague – is set. 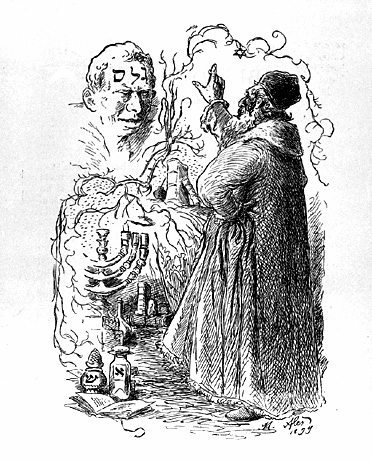 The legend tells about the Golem, a creature similar to K, created by the Maharal of Prague (a Hebrew acronym for “Our Teacher, Rabbi Loew”), in order to protect the Jewish community. In the middle of the night he went down to the Vltava river, gathered piles of clay and formed a gigantic anthropomorphic creature, which he brought to life using the Hebrew letters א מ ת (truth). Each Friday night he erased the א and the Golem was then מ ת (dead). The Golem was the community’s shield for a long period, protecting the Jews from pogroms and blood libels. Till one time, the Maharal forgot to “turn off” the creature, and the mutant went wild, hurting people and property all around town. The Maharal then realized how mistaken and haughty he was, shut the Golem down forever and hid it in the Altneuschul’s attic. Rather than the nature of mankind and socio-economic inequality in Blade Runner, the circumstantial background in the Golem legend is quite different – it evolves around the relationship between the Jewish community and the surrounding society – hostile at some times, sympathetic at others. The legend was first printed in early 19th century, in Berthold Auerbach’s novel “Spinoza”, and since then has captured the spirits of both Jewish and non-Jewish authors and readers for two centuries. Hebrew and Jewish literature is bursting with allusions and references to the Golem, and in 1909, David freshman published “The Golem”, a novel in which pogroms and Jewish-Christian hostility aren’t even mentioned, but rather the story of a shy handsome young Torah scholar whom the Maharal created, and whom Chava, the Maharal’s granddaughter, tempted. The story ends when the Golem, unable to handle his inflamed desires, throws himself into the river during the Tashlich ceremony. Over a century after Frishman, the American Michael Chabon published The Amazing Adventures of Kavalier & Clay, another novel in which the Golem is a character, but this time smuggled to America with one of the protagonists, Josef Kavalier , who is to establish himself as a fantastic comics author in the new country. The Golem here symbolizes the shift of Jewish culture from the old country, Europe, to America, “The Golden Land”. 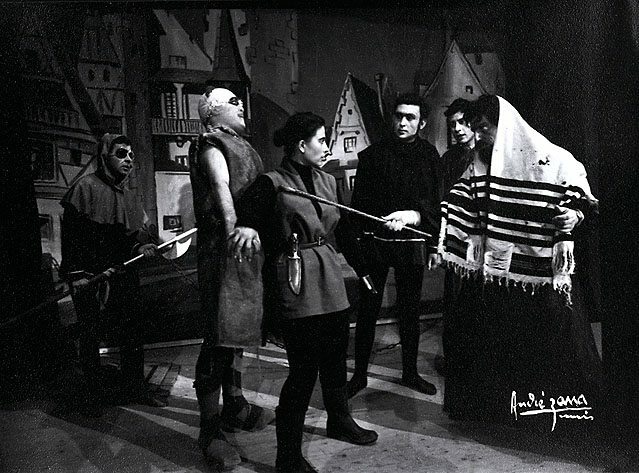 The Golem theme was also used by the authors Bashevis Singer, Uri Fink, and Jorge Luis Borges, as well as in numerous Hebrew works of literature, satire, television and theater. Each of them used the symbol differently, making the necessary time and place adaptations. And each left his own mark on the Golem. So why did a clay monster became such a powerful symbol? Perhaps it is because it flirts with the much older story of the creation of man by God. In the book of Genesis, God creates man from earth, and man defies God by eating from the forbidden fruit. We are all descendants of the first Golem, then. The first man is the pattern for the Golem turning on his creator. Perhaps we should stop and wonder what the creatures we are forming today might do to us in the future. Did we set the right example for them?